LONDON (AP) — Dominic Breazeale isn't expected to freeze in the ring against IBF heavyweight champion Anthony Joshua like Charles Martin did two months ago. Breazeale also isn't expected to last much longer on Saturday in London than Martin's two-round knockout. Joshua has yet to be beaten or go the distance after 16 pro fights - he's gone past the third round only once - and his handlers would love him to earn experience from more competitive rounds. But at the weigh-in in Covent Garden on Friday, the champion said "the objective is to get him out as quickly as possible." That's the tip in Joshua's first defense of the IBF belt that Tyson Fury was stripped of. Breazeale has a shiny 17-0 (15 KO) record, but he was far from impressive in his last outing in January. 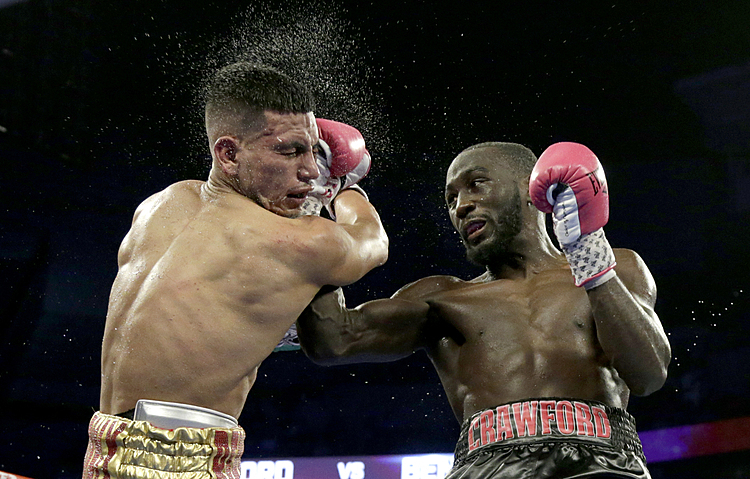 The American was knocked down by 42-year-old Amir Mansour, who was leading on the scoreboards when he retired after the fifth round because he almost bit through his tongue and was choking on his own blood. That ability to get off the floor puts Breazeale in good stead. He was at the same 2012 London Olympics as Joshua, but lost his first fight while Joshua went on to win the gold medal. As a former quarterback for the University of Northern Colorado, Breazeale said he won't be fazed by the 20,000-strong crowd at the O2 Arena, or the lack of support. 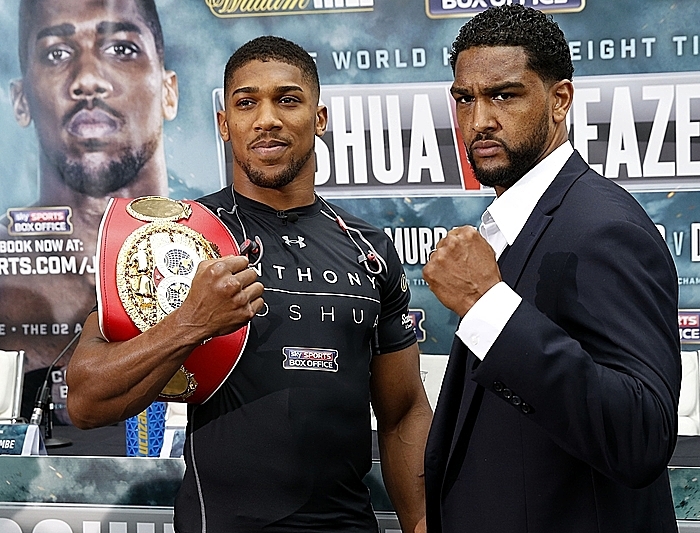 Breazeale was slightly taller, a little heavier, and older by four years than Joshua. But this match was lined up as another reputation-builder for the marketable Briton on the road to a shot at unifying the heavyweight title.